If you own an oil field in Oklahoma and need high quality security gates, Tulsa Home Guard can install them for you. Tulsa Home Guard has been securing oil fields, commercial properties and homes in Oklahoma since 1980 with custom-built iron gates, and we can help you maintain the high level of security necessary at your oil field. Our gates are manufactured to your specifications. You choose the style, the measurements, the security features and the design, and we will build the right gate for your oilfield. You can also choose the type of operation based on your needs and your space—your gate can run by mechanical, hydraulic, electromechanical or solar power. Have a gate already, but need it repaired? Tulsa Home Guard will also repair and inspect gates on your oil field. We’ve been working with gates for over three decades, and no matter what the problem is or the type of gate you own, our experienced team of technicians will have a solution! 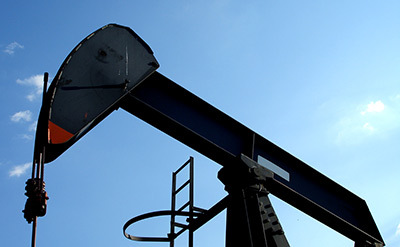 We understand how vital the security is on your oilfield. Not only do we provide industrial-quality gates,we install superior access control systems at the same time. Our access controls include telephone entry systems, keypads, and card and proximity readers—all equipped with leading-edge technology. If you’re ready for a higher level of security on your oil field, contact Tulsa Home Guard today at 918-584-4923. We will come to you for a free, no-obligation consultation! Let us help you achieve the peace of mind you desire.